I had the great honor of attending the National Conference of State Legislatures Capitol Forum in Coronado, California on December 12th. This event is where legislators and staff from states across the country come to learn the latest on pressing issues and develop the agenda that guides NCSL’s advocacy work on Capitol Hill. 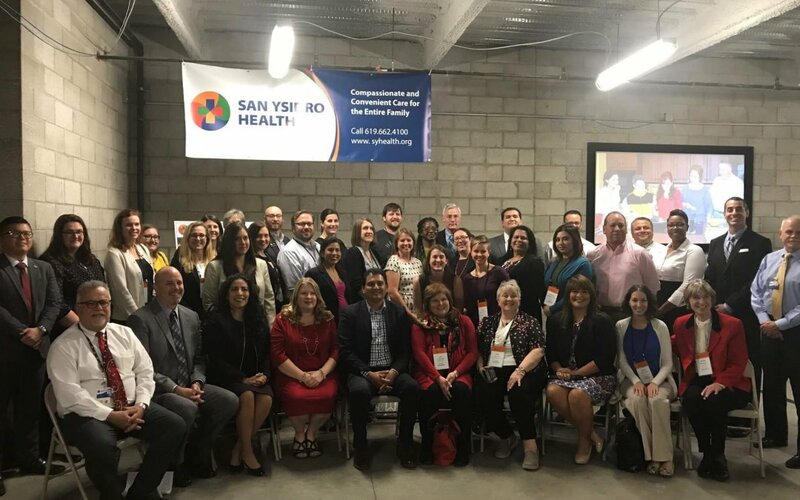 This year’s event included an educational component that involved a tour of the San Ysidro Health Maternal and Child Health Center, San Diego PACE, Senior Health Center and San Ysidro Health Center sites. It was a great event and such an amazing opportunity to highlight the great work our community health centers are doing to legislators and their staff from other states. I was personally moved by the presentation Assemblymember Lorena Gonzalez Fletcher gave at the event. 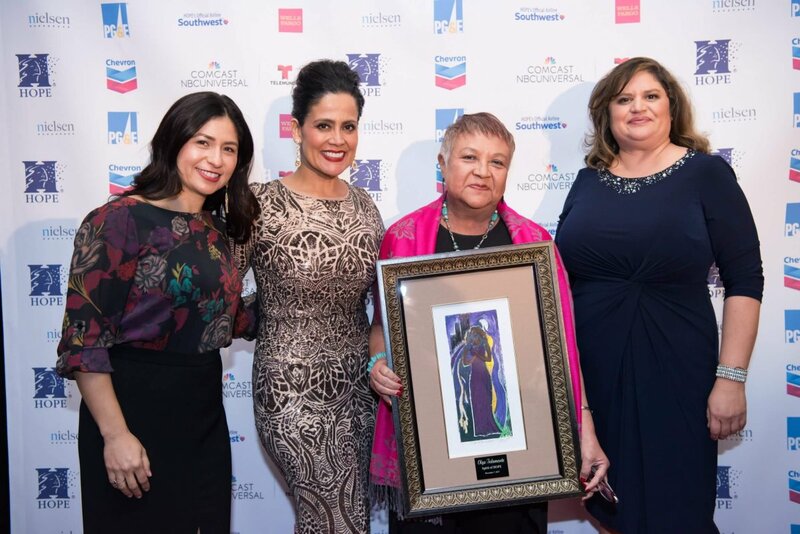 A long-time champion of the community health center movement, she made a point to feature the great work that San Ysidro Health was doing in the community and the vital role they play in the lives of their patients. It was important for this audience to hear the true impact our health centers have, but it was equally important for these legislators to hear about the great relationship San Ysidro Health and Assmeblymember Gonzalez Fletcher have. We are truly lucky to have such amazing legislative leaders here in California – leaders who continue to be our staunch supporters. Assemblymember Gonzalez Fletcher is a true friend to the health center movement. Senator Ben Hueso gave a moving presentation at the San Ysidro Maternal & Child Health Center. Senator Hueso spoke so eloquently about the health center movement being born of a time when communities were being left behind – the poorest neighborhoods with the most need were left without access to much-needed health care services. Like the border town where San Ysidro Health was originally established back in 1969, and how the organization had grown to provide high-quality care to thousands of patients through a vast and integrated network of sites throughout San Diego and El Cajon. His words were inspiring and rang so true for us in the room who are so dedicated to the health center movement. Culminating the day with the San Ysidro Health site visit was probably the most exciting part of the event. I had personally never visited the Maternal & Child Health Center before and was blown away by the programs and services they offered – especially the child development services. It was a beautiful site and was a shining example of the all that our health centers offer. We were also fortunate to be able to see the San Diego PACE, Senior Health Center which provides senior support services along with health care services to those in the community. It was such an incredible day, made even better by all of the wonderful comments I heard from the other attendees on our way back from the site visit. I’m excited and energized to get to work on our own legislative priorities in 2018 and feel so fortunate to be working with Senator Hueso and Assmeblymember Gonzalez Fletcher on important health center issues next year. 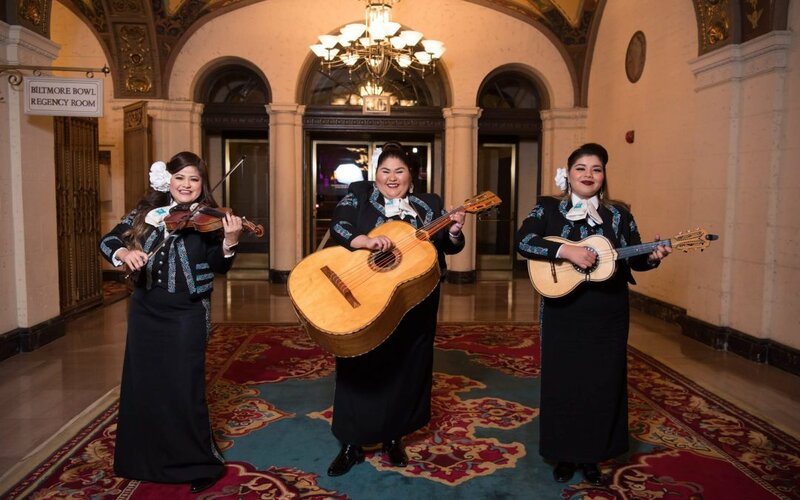 Last Thursday, I had the honor of attending the Hispanas Organized for Political Equality’s (HOPE) 28th Anniversary Awards Dinner in Los Angeles. I have always been a strong supporter of HOPE and the important work it does in advancing Latinas. I have always admired the mission of HOPE and think that they are doing wonderful work in ensuring political and economic parity for Latinas through leadership, advocacy, and education to benefit all communities and the status of women. This event had a special significance for me personally, because one of my dear friends was receiving an award. It was made even more memorable as I was joined by some Los Angeles-based CPCA members: Richard Veloz, CEO of South Central Family Health Center; Margie Martínez, Chief Executive Officer of ChapCare; and Dr. Anitha Mullangi, CMO of Saint John’s Well Child & Family Center. Helen Torres, Executive Director of HOPE, is a powerhouse Latina doing wonderful work to develop future leaders for the state. Serving in this position for more than 17 years, Helen has dedicated her professional life to bettering the lives of Latinas through the advancement of important issues and personal empowerment. 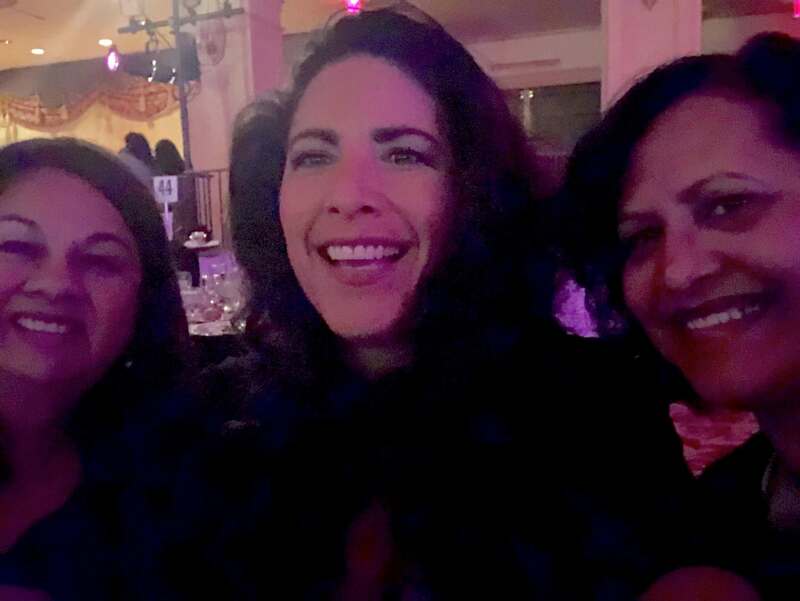 I also had the pleasure of seeing my friend of many years Olga Talamante, Executive Director of the California-based Chicana/Latina Foundation, who received the “Spirit of Hope” Award that night. I was overjoyed to see Olga receive this award from HOPE – it is so well deserved. She has been such a trailblazer and a leader within the Latina community for many years now, spending nearly 15 years running the Chicana/Latina Foundation. Prior to that, she spent a number of years relentlessly working to improve and uplift the lives of Latinas. I have always been so inspired by Olga’s boundless energy and her tremendous leadership and dedication. She was entirely dedicated to the Chicana/Latina Foundation as a volunteer Board member long before she accepted a leadership role at the organization. The Chicana/Latina Foundation has been a grantee of the Castellano Family Foundation (CFF) since its inception over 15 years ago. As a result, I’ve been able to witness Olga’s hard work from multiple perspectives. My mother is a former Board member of the Chicano/Latino Foundation, and she has always been extremely supportive of the organization. When my siblings and I transitioned onto the CFF Board five years ago, we continued that commitment to Olga and her organization and have enjoyed being able to work with her. 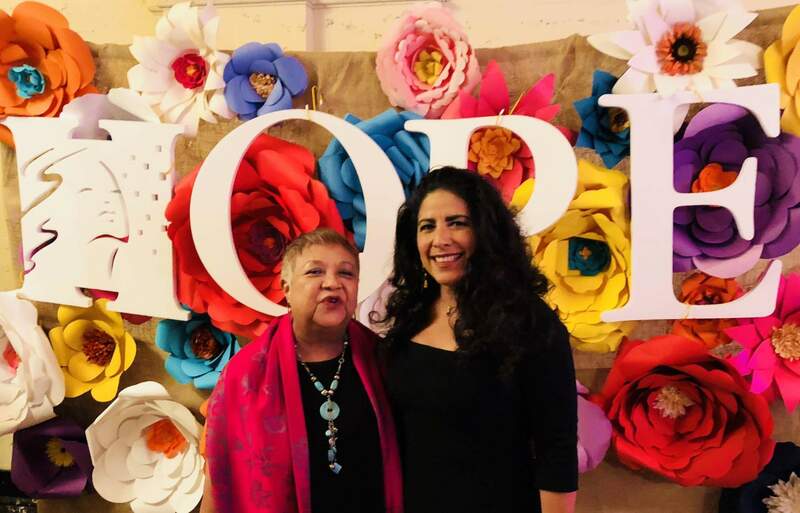 HOPE and the Chicana/Latina Foundation are two organizations that are making a tremendous contribution to advancing and empowering Latina women. Through this event, I was able to celebrate Olga and HOPE, and all of the amazing work they do. But on a daily basis, I celebrate all the women who are involved and dedicated to advancing and bringing up the next generation of women leaders in our state.